Many of our clients are pet parents with dogs who are unable to walk or have very limited ability to move. Having a dog that is experiencing sudden or gradual paralysis or lameness is distressing for any pet owner. It is extremely important that you seek immediate veterinary care in order to diagnose and treat underlying causes and to minimize permanent/long term effects. Paralysis (the inability to move) can range from total paralysis – where a dog cannot move his legs at all – to paresis-partial paralysis where the dog appears to be weak or have difficulty moving its legs. The ability to move about is a function of complex communications between the brain, spine, nerves and muscles. Messages between the brain and body are transmitted through the spinal cord (collectively known as the central nervous system). Any damage to any part of the nerve pathway can result in miscommunication or no communication at all to the brain or body. Symptoms can include inability to move all four legs (tetraplegia), inability to move the hind legs (paraplegia), possible pain in neck, spine, or legs, inability to control urination and/or defecation, and constipation. There can be any number of causes of paralysis including slipped discs, bacterial or viral infection of the spine, inflammation of the spine, infection of the brain, tumors or cancer, tick paralysis, malformation of the spine/vertebrae, embolism, or injury. Lameness which includes any type of pain or tenderness, limping, or the inability to bear weight on a limb is generally a response to pain, injury or abnormal anatomy. The range of symptoms can include pain, decreased range of motion, muscle atrophy, abnormal posture or movement when walking and abnormal size/shape of bones and/or joints. In either case, your veterinarian will do a complete exam that can consist of an in depth history, basic laboratory tests such as a complete blood count and urinalysis, x-rays, myelogram, CT Scan, MRI, or biopsy. Treatment will depend or the diagnosis. 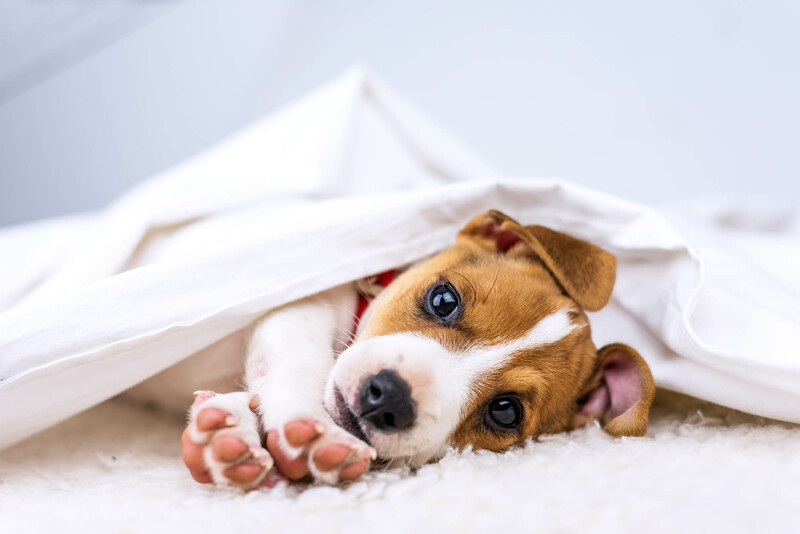 Once the cause of the condition is determined, your veterinarian will devise the proper treatment plan for achieving the best possible outcome for your beloved pet.